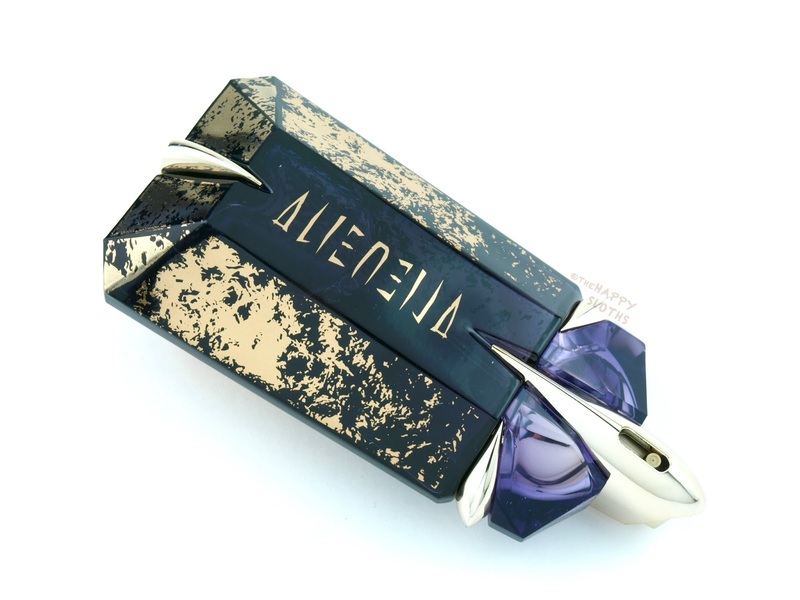 For this limited edition Alien, Mugler brought out the gold! Wrapped with beautiful flecks genuine 17 and 18 karat gold, the gorgeous deep amethyst bottle is multi-faceted and simply stunning. The perfume name "Alien" is printed instead of being etched on the bottle, so depending on the angle you view it from, it disappears or reveals itself, a design very befitting for such a mysterious fragrance. The gold flecks are scratch-resist as the entire bottle is coated with a protective lacquer layer. Like the original Alien, Alien Divine Ornamentation has a press-nozzle that's directly accessible with no cap to remove. Finally, like many Mugler scents, this limited edition is refillable at select retailers. 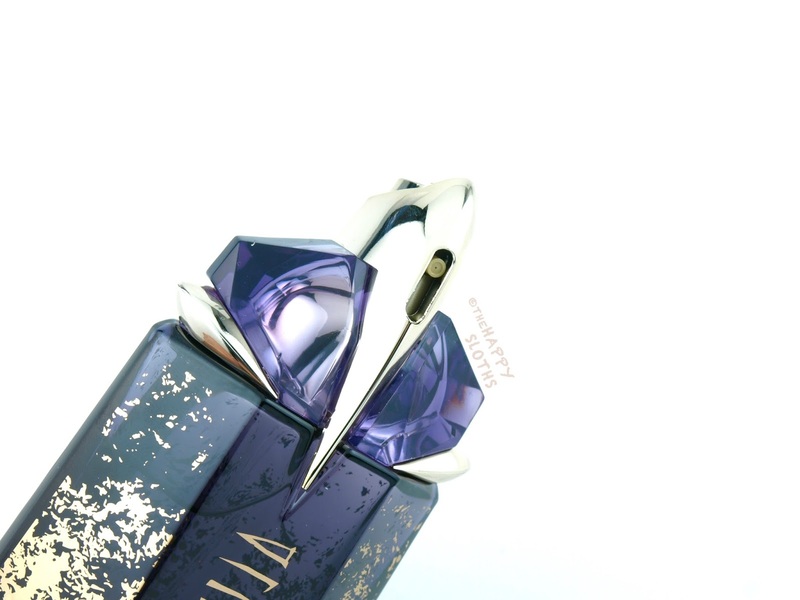 The Alien Divine Ornamentation is simply a limited edition of the original scent. Below is a direct copy and paste from my original review of the fragrance. Upon the first spritz, Alien's jasmine note gives off a fresh, almost berry-like scent. The floral jasmine is incredibly intoxicating-very unique and feminine. After the jasmine settles, the woodsy and amber notes come in play, and surprisingly, they give off a sweet, almost vanilla aroma. If you love sweet florals, there is no better choice than Alien. I am usually more of a woodsy green fan but this fragrance is simply divine. The jasmine is multi-dimensional and in combination with the white amber and cashmeran wood, it is so alluring and feminine! 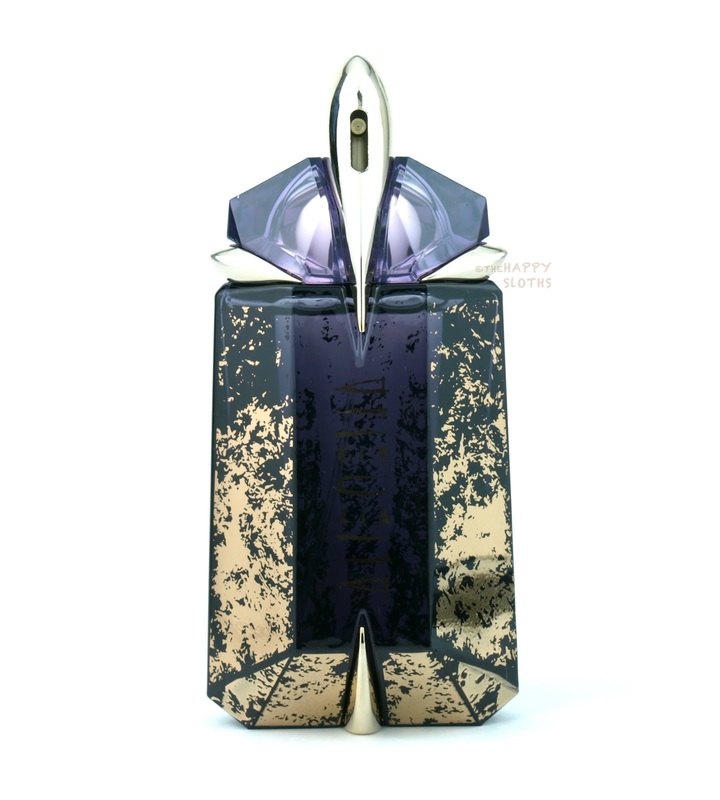 The Mugler Alien Divine Ornamentation Limited Edition Eau de Parfum is available exclusively at Hudson's Bay.